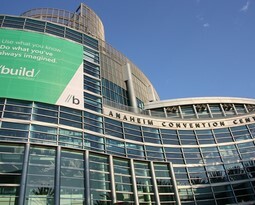 We want you to call us! No matter where you are in the Anaheim area, Knight’s Plumbing can take care of your plumbing needs, 24 hours a day, 7 days a week. While no one enjoys having to call a plumber, Knight’s Plumbing will do its best to make your experience as easy and pleasant as possible and have your problem fixed as quickly as we can. 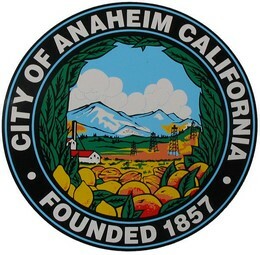 We are proud to serve all of Anaheim and all of Orange County. 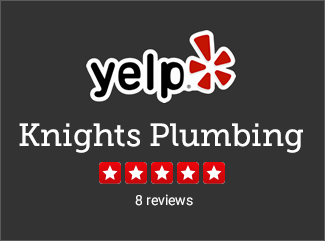 No matter what your plumbing problem is, Knight’s Plumbing will be there to help. We even offer emergency plumbing services 24 hours a day and will arrive at your home to start solving your problem. Our extensive experience and state-of-the-art equipment gives us the tools to take care of even the most difficult problems from leaks in hard to reach areas, even those within or underneath slab foundations. Our Emergency Plumbing Services are available 24 hours, day or night; incase you find yourself suddenly having no hot or running water in the middle of the night, or even when your HVAC unit stops working; our master plumbers will be on their way to repair your problem. Whether you have a leaky water pipe anywhere in your home or gas pipes that are damaged or even broken, we will detect the cause of your leaks and fix the situation immediately. We know that a serious plumbing malfunction is a crisis that needs to be handled quickly and we can be there to get the job done. No matter where you are in the Anaheim area, Knight’s Plumbing will be there to save the day. Knight’s Plumbing provides repiping services that are available for both new home construction and existing home upgrades. If you have a home project you need done, we offer free estimates and charge a flat rate price for all of our repiping jobs. Whether you are upgrading the plumbing in your Anaheim home or putting in all new plumbing in a new home, we are the ones to call in the Anaheim, CA area. Our certified technicians will listen to your needs and make sure that the job is done right the first time, guaranteed. Our Drain Cleaning Services are available for both your emergency and maintenance needs. From clogged drains, sinks, showers and toilets to clogged sewers, we provide Anaheim residents the drain cleaning services they need 24 hours a day, 7 days a week. Our flat rate pricing also means that there are no surprise costs or extra charges to make a stressful situation any more stressful. We can also provide drain cleaning for slow running drains to prevent any future draining emergencies. If you find yourself with no hot water, our certified and bonded plumbing experts will have you back to normal in no time. Knight’s Plumbing offers water heater repair and replacement for all types of heaters: hot water heaters, tankless water heaters, and electric hot water heaters. One of our professional team members will gladly come and assess the situation and inform you know if your hot water can be repaired or recommend it to be replaced. Our Video Inspection Services use state-of-the-art video cameras to search for and find your plumbing problem. Sewer and drain lines can run for long distances and be hard to access if they are embedded in or below slab foundations but our video cameras make it easy to find the problem, making repair or replacement that much quicker. We also provide trenchless sewer repair options as well. If you are in the Anaheim or Orange County area and need your sewer line or drain problem fixed, Knight’s Plumbing has the skills and the expertise to handle any drainage problem quickly and efficiently. Our Leak Detection Service is guaranteed to find any leak in any part of your home. A small leak in an out of sight area can lead to mold, mildew and more severe damage that can be caused by a slow water leak over time. Our professional plumbers will come out and inspect all of the pipes in your home, find your problem and get it fixed to help save you from any future problems. Our sewer repair services are available for both emergency and maintenance repairs. Whether the problem is a slow sewer drain or a complete sewer backup, Knight’s Plumbing can find and fix the problem quickly and easily. We provide free estimates as well as flat rate pricing so you know that you will not be surprised by more than just a clogged sewer. We can also provide emergency sewer repair service 24 hours a day anywhere in the Anaheim area. Our Plumbing service takes care of all of Anaheim, from commercial to residential buildings. Whether you live by Disneyland or close to Brookhurst Jr. High School, our 24 hour plumbing service will gladly rush to your aid to solve your plumbing problems. Don’t let a minor water leak get in your way of shopping at the Garden Walk, call Knight’s Plumbing today. If you are in need of plumbing services in Anaheim, or anywhere else in the Orange County, Knight’s Plumbing should be the first place to call. 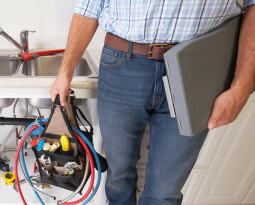 Our experienced certified and bonded plumbers know the ins and outs of the particulars of plumbing problems, especially those most common in the local area. Our flat rate pricing on a majority of our services means that you know the price up front and do not have to worry about extra charges, costs, or overages. We also provide emergency plumbing services 24 hours a day, 7 days a week and can respond to your call in less than an hour to ensure that your plumbing problem does not become a plumbing disaster. Call us today at (714) 476-5290 to schedule your same day service.